Neil was a director of Realty Law Ltd a specialist legal business supporting the leasehold property management sector in dealing with disputes, avoidance and recoveries, particularly the recovery of ground rent and service charges arrears as well as commercial debt recovery. Neil was formerly the Client Development Director of the debt recovery division at a leading international legal business, which the FT has recently ranked as one of the top 10 most innovative law firms in Europe. Neil is a Fellow of the Chartered Institute of Credit Management (CICM) and the Association of Credit Professionals (ACP) in recognition of his notable contribution to the credit profession. He has served on CICM’s Advisory Council as a Regional Representative and has managed a corporate legal partnership with CICM. 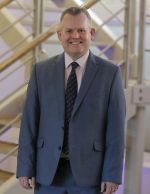 He is a Corporate Member of the Institute of Revenues, Rating & Valuation (IRRV) based on his extensive work in the public sector particularly in local government revenues and recoveries and is the current president of the IRRV West Midlands Association. Neil is personally recommended for dispute resolution/debt recovery in The Legal 500 across 3 regions; London, the West Midlands and Yorkshire & the Humber, which is quite unique and based on client recognition, endorsements and recommendations. His former team were finalists in 3 categories at the CICM British Credit Awards 2018: Legal Team of the Year, Project of the Year and Credit Professional of the Year. He has been involved in the management of legal debt recovery operations for several leading law firms in a career spanning 30 years. He has also worked for HM Courts & Tribunals Service and as National Head of High Court Client Services at Europe’s largest group of civil enforcement companies. During this time, Neil’s team won numerous awards including Credit Today Awards for Enforcement Team of the Year, Innovation of the Year and Best Use of Technology. Neil has worked across all sectors of industry, commerce and the professions with a particular focus on real estate/property, financial services, local government, utilities and professional services. He has acted for all of the major banks and leading asset based lenders during his career as well as a high number of FTSE 100 and FTSE 250 companies.